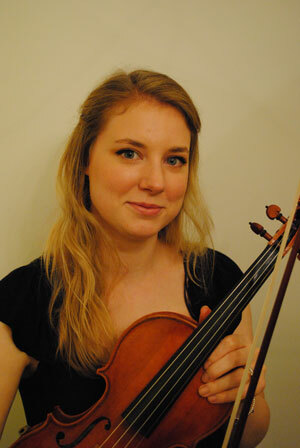 Poppy graduated from Birmingham Conservatoire with a Postgraduate Diploma (Commendation) in July 2011. During her time at the college she held many principal positions in the orchestras and played with the City of Birmingham Symphony Orchestra on their prestigious CBSO Training Scheme. She was also the leader of Halle Youth Orchestra on their South of France tour. She is a keen chamber musician with many years of experience performing as a wedding quartet, trio, duo and soloist at venues across the country including Blenheim Palace in Oxfordshire, UK. She also freelances with a variety of orchestras, including British Philharmonic Concert Orchestra and Orchestra of the Swan. She is also experienced in recording, having performed on several albums including Stradivarious's Late Arrivals. TV and radio appearances include ITV's Let Me Entertain You and Folk Hour on Chorley FM.